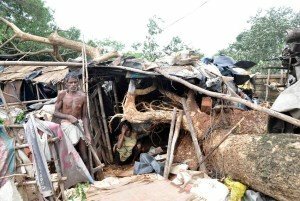 Thousands of people are marooned in eastern Indian States due to floods caused by heavy rains in the aftermath of Cyclone Phailin, which struck coastal Odisha (previously known as Orissa) and Andhra Pradesh last Saturday evening affecting over 12 million people in more than 16,000 villages. By Tuesday evening, the death toll had risen to 27. 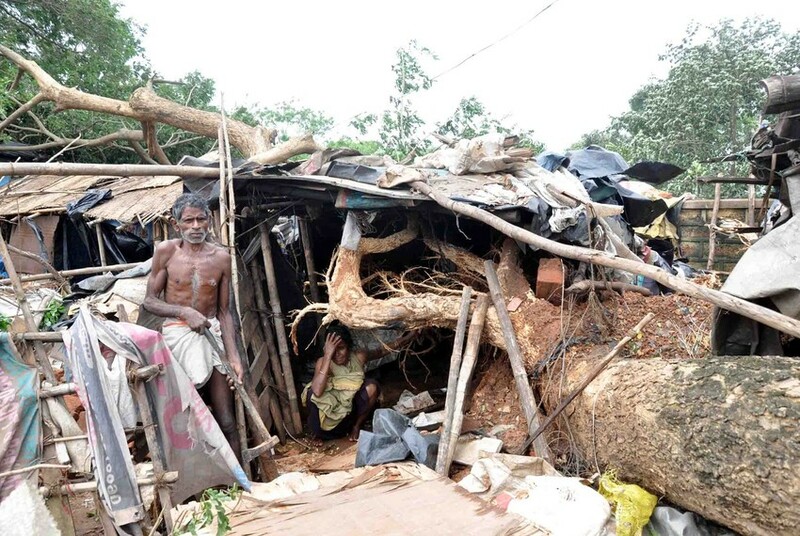 According to the State government more 75,000 people are still marooned by floods in the worst-hit Balasore district. The situation in Bhadrak and Mayurbhanj districts is also urgent, while many villages in Ganjam district are said to be completely submerged by flood waters, leaving thousands of people homeless. The combination of a destructive cyclone, followed by torrential floods has destroyed over 300,000 houses and over 600,000 hectares of crops, amounting to damages in excess of €360 million. More than 90,000 people had been evacuated ahead of the cyclone, while a further 112,000 people were evacuated from flood-hit areas in the aftermath of the cyclone. Additionally, the Odisha Phailin Response Forum (a civil-society response forum) reports that extensive damage has been caused to power infrastructure across the state and that it will take an estimated six months to restore power in Ganjam district. Fishermen have also reportedly suffered massive losses as their nets, boats and catamarans have been damaged. In Jajpur district, 102 villages were affected by flooding around the river Baitarani, according to the District Collector. The river, considered ‘dangerous’ at a depth of 17.8 metres, is currently flowing at 19.9 metres, and the Odisha Disaster Rapid Action Force (ODRAF) have been deployed for rescue and relief. The government has started relief work in flood-hit areas with air dropping of food packets and other relief materials. In some areas, boats are assisting in the relief effort. A donation to our Emergency Fund will help ChildFund to respond, for example, by distributing medicines to prevent skin diseases and manage diarrhoea, supplying water-purification tablets, sanitary napkins, packaged water, baby foods and dry foods.